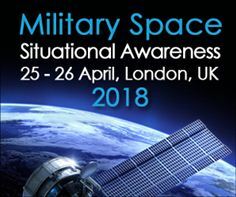 SMi Group’s 13th annual Military Space Situational Awareness conference will commence in London on the 25th and 26th April 2018. In the lead up to the event, an interview with the conference Gold Sponsor, ExoAnalytic Solutions and newly retired RAF Squadron Leader Ralph ‘Dinz’ Dinsley, who will be chairing the 13th annual Military Space Situational Awareness conference, has just been released. The full interviews are available to download from the website download centre here http://www.military-space.com/VUELIO. In addition to chairing the event, Sqn Ldr (Ret’d) Dinsley will also be hosting a half-day pre-conference workshop on the 24th April on ‘Developing a Roadmap for Proportionate Space Regulation’. The workshop will be focused on how to deal with new security challenges that will arise as a result of an ever-increasing range of players entering the space domain, as well as the prospective governance frameworks and protocols applicable to the evolving space environment. The two-day conference will explore enhancing situational awareness capabilities to ensure the security of vital space assets. Senior military, research and industry officials will be giving presentations on the latest solutions being implemented to enhance the security of space assets through domain awareness, as well as discussing key issues impacting space security. Latest registrations for the event include: Airbus Defence & Space, Applied Defence System, Applied Space Solutions Limited, Astro- und Feinwerktechnik Adlershof GmbH, Astroscale, Austrian Armed Forces, Beijing Institute of Space Science & Technology, Canadian Armed Forces, China Academy of Space Technology, CNES – Centre National d’Etudes Spatiales , Dstl, EU SatCen, European Space Agency, European Space Policy Institute, ExoAnalytic Solutions, FMV (Swedish Defence Material Administration), FOI, French Joint Space Command, GMV Aerospace and Defence S.A.U., Harris Corporation, Italian Ministry of Defence, Kratos RT Logic, L-3 Communications ASA Ltd Rusint House, LeoLabs, Inc., Lockheed Martin Space Systems Co., MacDonald Detwiler Associates, MDA, Measat Satellite Systems, Met Office, Ministry of Defence Germany, MCC, Northumbria University, Omitron Inc, Oneweb, Polish Space Agency, RAF, Roccor, Roke Manor Research Ltd, Royal Australian Air Force, Royal Thai Air Force, RT Logic, Saab AB, SciSys UK Ltd, Secure World Foundation, Serco Group plc, SKY Perfect JSAT Corporation, STFC, RAL, Swedish Defence Research Agency, The Boeing Company, The Harris Corporation , Turkish Air Force, UK MoD, UK Space Agency, University of Bern, University of Surrey, University of Vienna, US Air Force Space Command, XTAR, and many more.